Art @ Auction Tonight – starts at $1.00!! 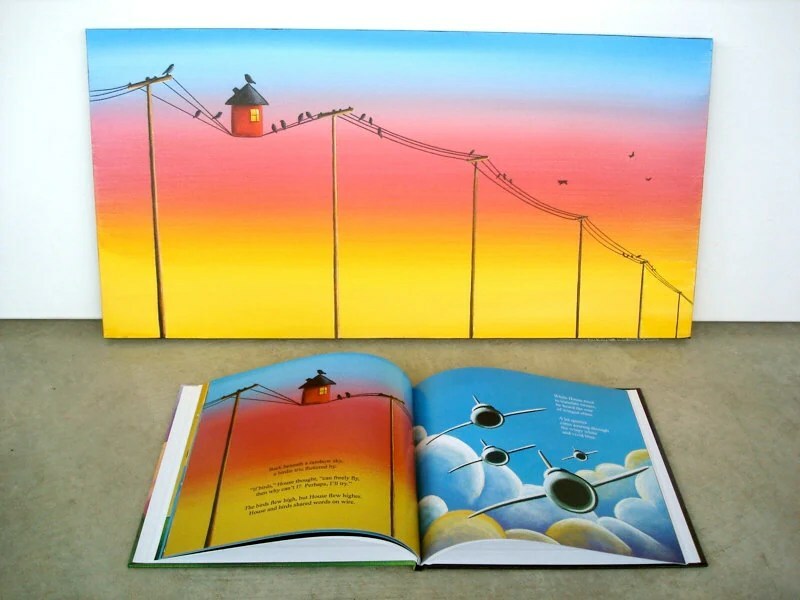 This painting is featured on page 23 of the book. 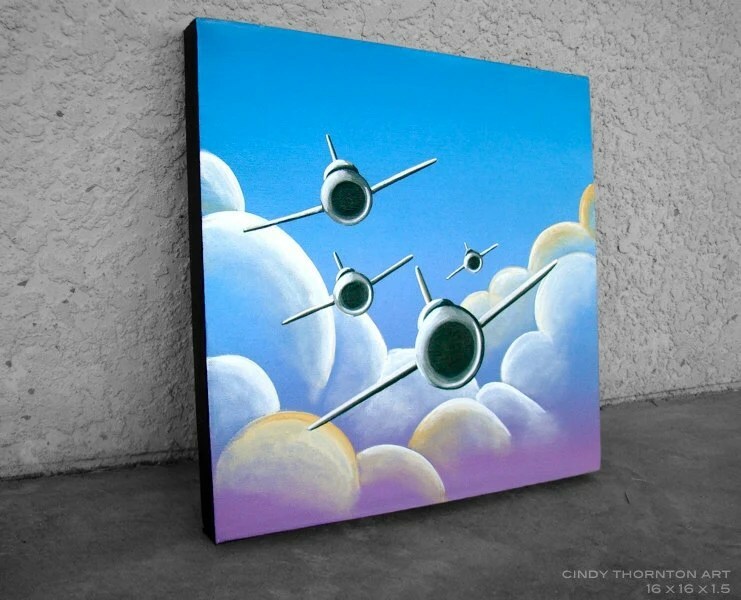 Perfect for an aviation themed room, or anyone who likes the “roar” of these approaching planes. For the story I needed to paint 4 jets, well…I saw these WWII planes that had the intake located on just the nose. I loved them, and decided to go with something really similar and have them flying right at the viewer. Since I don’t typically paint this type of scene, I think it is one of my favorites from the book. Just posted on etsy! This painting is from page 26 from my new book just released last month “House“. If you don’t yet have a copy of the book and are following my page illustration releases, are you getting that my husband and I went with “imagination” as the theme of this book 🙂 I love a good adventure, but have it be about a house why don’t ya! lol. Ok, so this is my 4yo favorite part of the book…the rocketship. 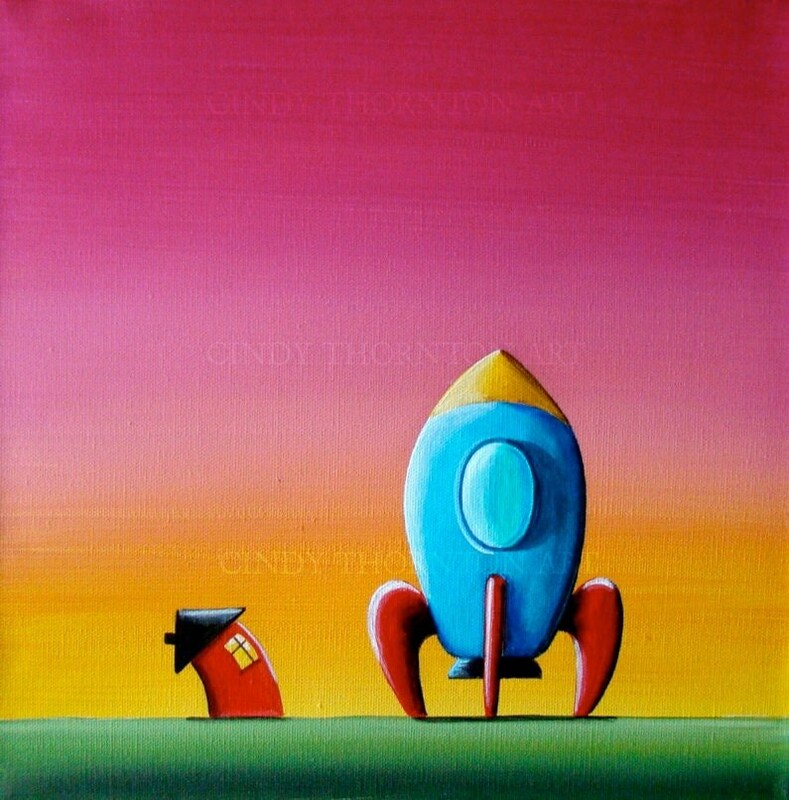 I almost hate to part with this painting, as I love the rocket against the techno pop pink sky. It’s been hanging in my office for a month or so, but I’m willing to let it go. Perhaps more space adventure paintings will come out in the future.